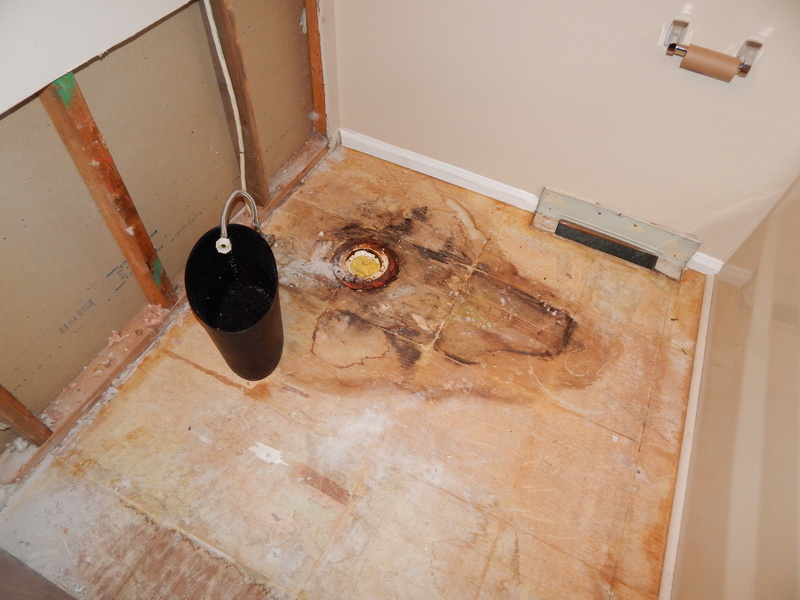 Pictured here is a photo of a bathroom where the floor, toilet and portion of the wall was removed due to water damage. The plumber didn’t properly secure the toilet which leaked each time it was flushed. The leak caused damage to the bathroom as well as the basement ceiling and two walls. Be sure when hiring a plumber to always get referrals or damage like this could easily happen to you.